Ha! Did the headline get you? 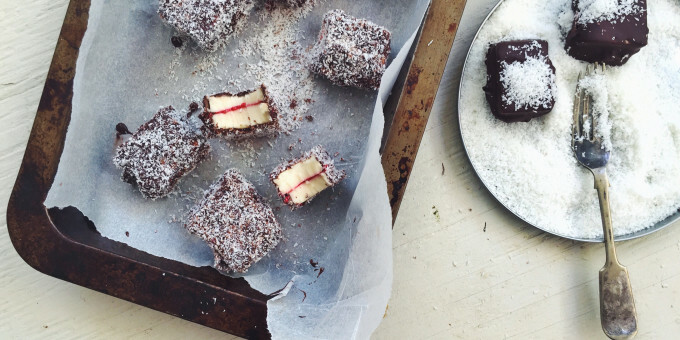 10 healthy lamington recipes you need to make this Australia Day. 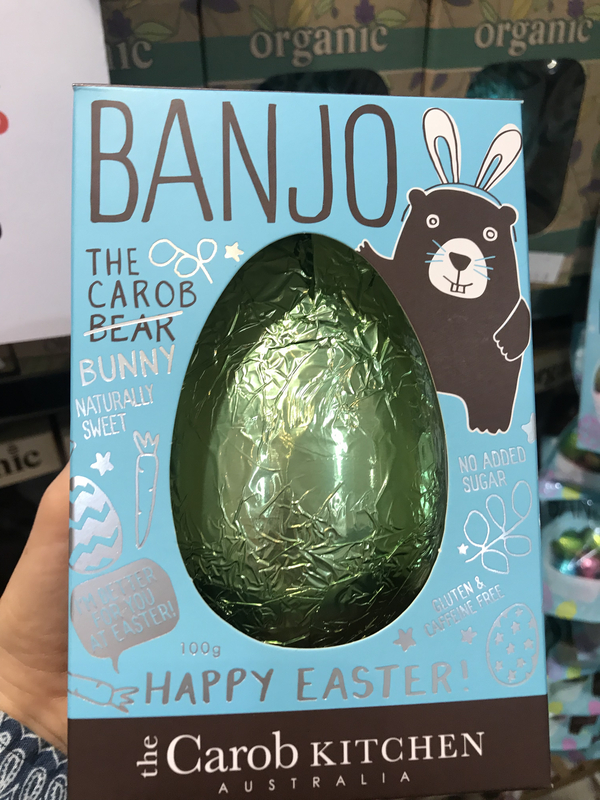 Well, I don’t really mean make all 10 but do take a few minutes to look through, choose one you like (or one that suits allergies you’re catering for) and get baking baby! So fun, so yum and so awesome to do with the babes. Oh, and be sure to pin these recipes, because lets be honest Lamingtons are great all year round. 1. 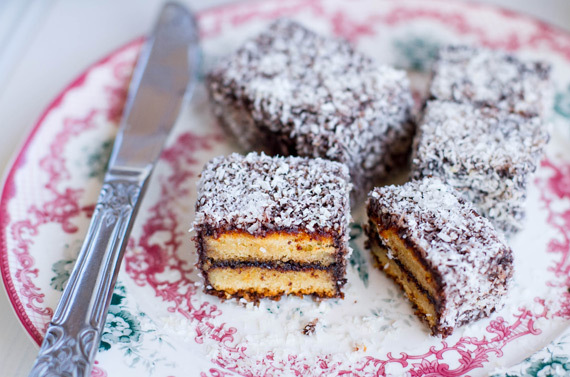 Jamie Oliver’s Lamingtons – Made the traditional way with flour, eggs and sugar. YUM! If you want to make a tiny tweak to add some goodness, switch the white sugar for the brown caster variety (found in all the big supermarkets) or even coconut sugar. 2 . 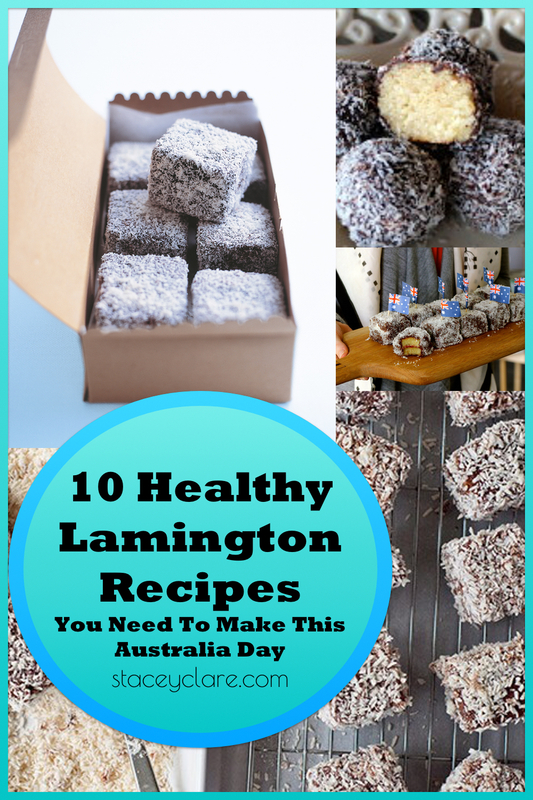 Gluten and Dairy-Free Lamingtons – These ones are made with an almond meal and tapioca flour base. Add a drizzle of rice malt syrup (a ‘better’ sugar) and they’re ready to go. 3. Paleo Lamingtons – These too are made with an almond and tapioca flour base but there are a few extra steps to show you how to pop extra chocolate in the middle. 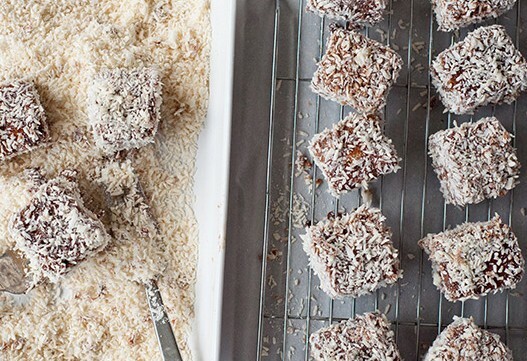 I love a filling in my lamingtons and these look perfect. 4. 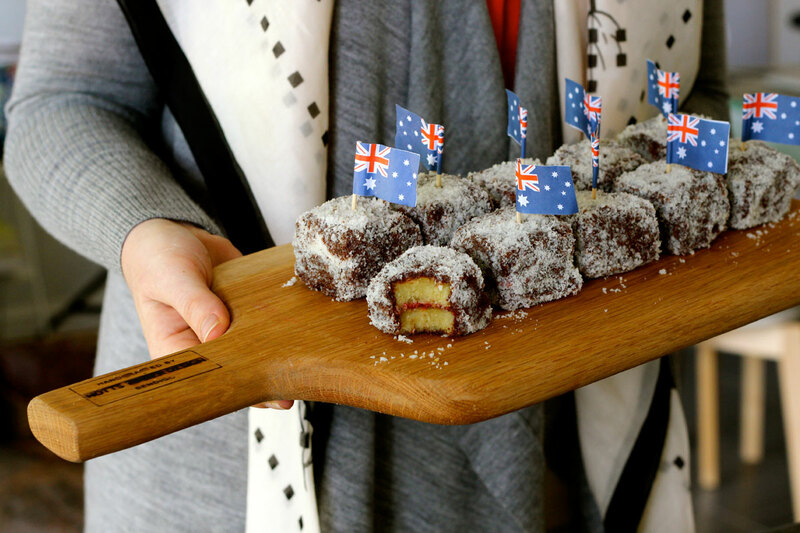 Cannellini Bean Lamingtons – Sounds weird but trust me, a cake made with these beans is actually really yum! 5. 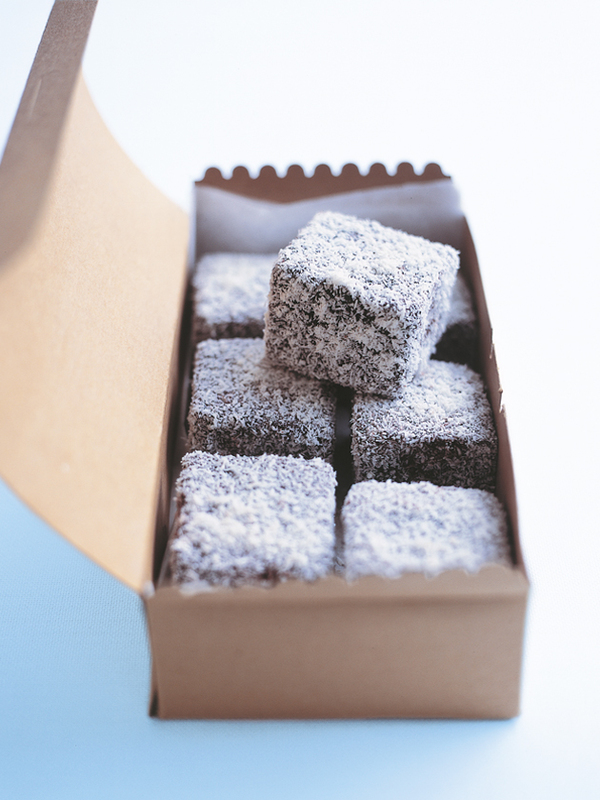 Marshmallow Lamingtons – The guys at I Quit Sugar made their own vanilla bean marshmallows (YUM!) and then coated them in chocolate and coconut. How’s that for a non-traditional lamington that tastes amazing? Not only do they taste great, your belly will love all the gelatine the recipe calls for to make them too. 6. 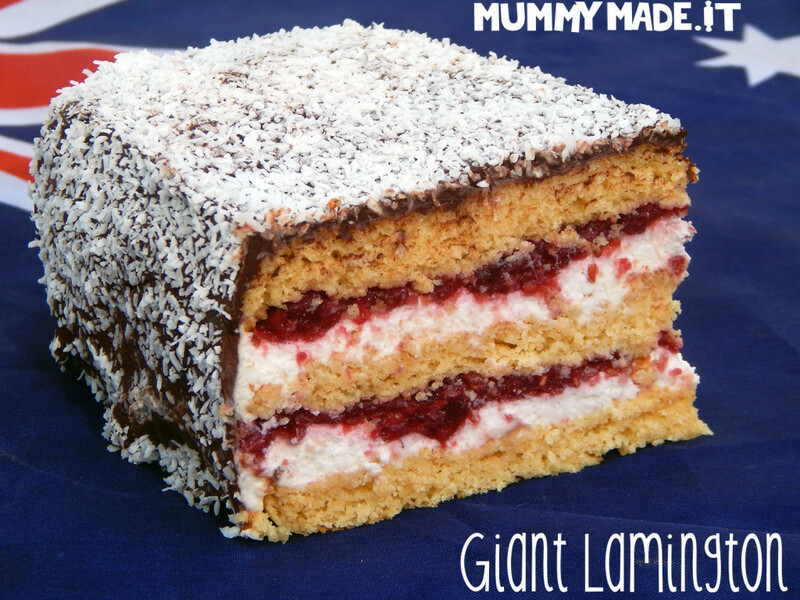 Lamington Cake – I love this idea. Save the cutting and get eating. Lisa makes the cake with coconut flour and uses whipped coconut cream for the filling so this recipe is perfect for those with gluten and dairy allergies. 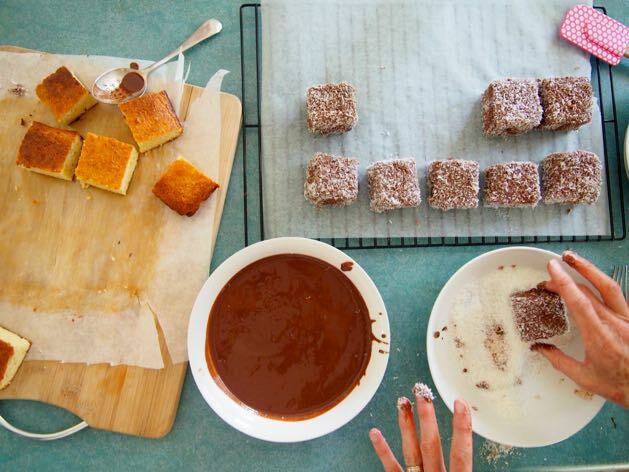 When you’re over on Lisa’s site, be sure to check out her other laming ton recipes. She has a slice and cookie options that look amazing too. 7. Paleo (Take 2) Lamingtons – Lots of great wheat flour substitutes in this one plus yummy butter (perfectly good for you when eaten in moderation). 8. 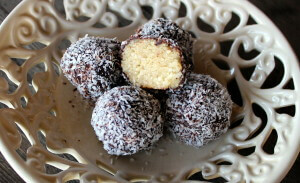 Lamington balls – I love this idea. 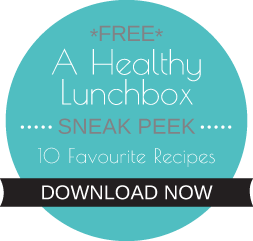 The girls use nuts and other raw ingredients to achieve their yummy lamington taste. These look like they’d freeze great too. 9. 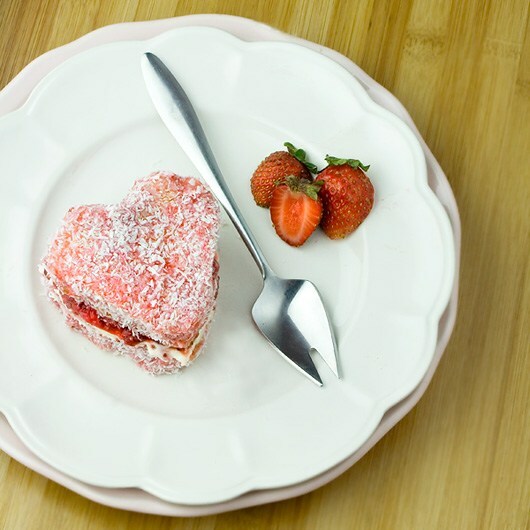 Strawberry Lamingtons – I love anything strawberry so a healthy strawberry lamington really got my attention. 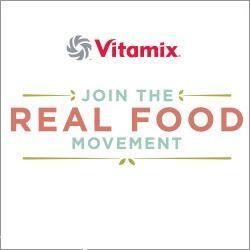 This recipe uses spelt flour and real strawberries as well. WINNING! 10. 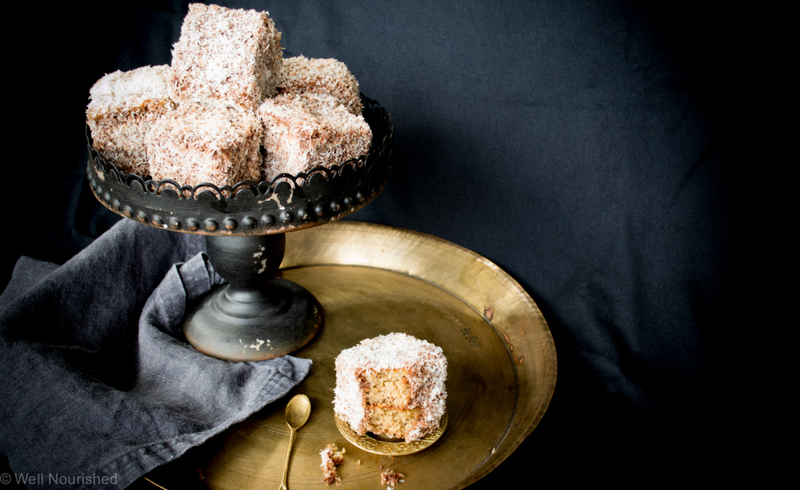 Donna Hay’s Lamingtons – I had to end with these and not just because they look so beautiful but because every now and then I LOVE to cook this way. I bet they taste great too. Tell me, which lamingtons do you like the look of best? 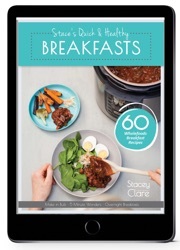 Have you got your own favourite recipe? Pop a link in the comments so we can all check it out too.